With Christmas fast approaching, the time is ripe to share the festive spirit with your beloved. You’ve no doubt both had an incredibly busy year, filled with tribulations and the occasional trial, so now more than ever is when the gift of unforgettable and exhilarating experiences and products will forge an even stronger bond between couples. Adrenaline innately understands that Christmas, anniversaries, engagement and wedding gifts are embodied by the ultimate gesture of love and togetherness. Fittingly, there are more than 2,500 experiences to choose from in a range of activities and events in irresistible packages to please all tastes and age groups. You and your loved one could choose from an endless list of Adrenaline-charged or more romantically inclined experiences on land, water or high in the sky. 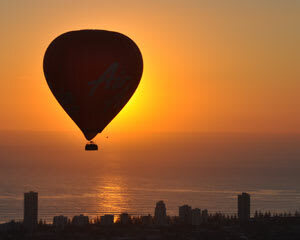 There is hot-air ballooning (perfect for lovers), skydiving, rally driving and V8 experiences (for the truly dynamic duo), helicopter rides, sailing, indoor and outdoor skydiving, scenic and aerobatic flights (for high fliers wishing to channel their inner Wright brothers and Amelia Earhart). If you’re leaning towards something more sedate and land-based, couples will adore a shared horse-riding experience. There’s also quad biking for the more adventurous and European Super Cars packages for the ultimate in super-powered luxury cruising. 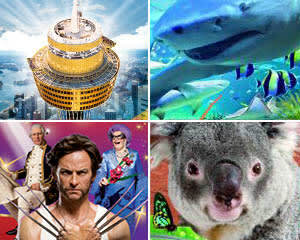 Plunging into the deep blue sea of love is also achievable with a range of thrilling shark and dolphin swims. Skirt on water at rip-roaring speed on a shared jet-boat ride or Jetpack and fly-board experience. Of course, couples may well work up an appetite after all this exhilarating activity and this where a range of cooking classes and tours make an entrance, including for sweet-toothed sweethearts, chocolate making and, importantly, sampling packages. Then the two of you can wind down together in blissful relaxation and rejuvenating luxury with a range of massage and day spa therapy packages. There are also beautiful and fragrant pamper products available to give as the perfect anniversary, engagement or wedding gifts for couples to retain as memento of a perfect day that has been shared in the true spirit of love. Adrenaline is the ultimate matchmaker when it comes to the perfect idea for presents for couples of all tastes and inclinations. All of these 2500-plus experiences have been expertly curated and customised to take place wherever you and your loved one happen to be based in Australia. What are the best gifting ideas for couples? 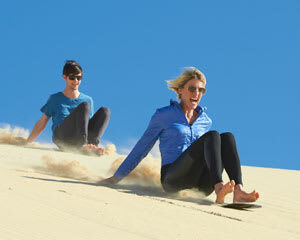 Gift givers could lean towards a sense of thoughtful practicality and start with a gift voucher from Adrenaline. These can be made out in any denomination, instantly emailed to the loving couple or express delivered in an impressively presented brushed-metal gift box to their door. The gift vouchers cover all of the experiences and packages offered by Adrenaline and, conveniently, are valid for three years. This means that busy achievers need never miss out on seizing the perfect experience designed to share should time slip away from them. Other gift ideas that have been tailor-made to caress the heartstrings include a parasailing tandem experience for two on the Gold Coast. The sheer bliss of soaring in the sky 100 metres above sea level is bound to put the excitement level of their romance at an all-time high. Sail away on a sea of love with the one-hour Tall Ship Cruise aboard the SS Enterprise, embarking from Gem Pier at Williamstown in Melbourne. The loving couple will experience a cruise aboard this traditionally built and rigged wooden sailing vessel. They’ll also be encouraged to indulge their senses by bringing along their favourite bottle of vino or craft beer to share as they taste the sea air and glimpse the endless horizon on this fun-filled outing. Rigging climbers are also encouraged if couples are feeling particularly adventurous, shipshape and seaworthy. Or another great gifting idea for couples will catapult their love up, up and away. Adrenaline provides a range of scenic and aerobatic flight experiences that are designed to give love fresh wings. High-fliers with the need for speed could take flight on their mission ‘possible’ aboard a Jet Fighter Flight L-39 Top Gun Mission (20 minutes), high above the breathtaking Hunter Valley. You’ll feel the power, speed, manoeuvrability and G-force action during this mesmerising slice of life as a fighter pilot. A private helicopter ride for two above the Melbourne CBD may be more to their liking. 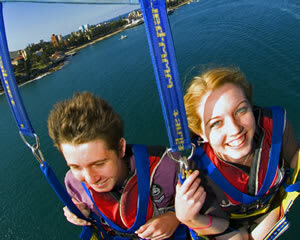 Loved-up couples will thrill to this unforgettable 20-minute ride 1000 metres above sea level. They’ll feel like movie stars in the making as they take off in style from a private lounge at Essendon Airport. These Adrenaline-charged experiences are just a sample of the depth and range of the multitude of customised packages on offer that make perfect gift ideas for lovers of love. What are some really unique and interesting engagement gifts? Nothing speaks of the promise of enduring love quite like an engagement party. This pledge of shared unity, aspiration and commitment is the perfect event leading up to the wedding day and a lifetime of shared hopes and dreams. With expert help from Adrenaline, you can provide the most interesting and definitely unique gift experiences for the loving couple. Marine-life lovers will rejoice in the gift of a whale-watching cruise (with sightseeing guarantee) from Adrenaline. If you’re in Mooloolaba, couples can embark on a cruise that ensures close encounters with magnificent Hump Back Whales as they migrate up and down the east coast of Australia. This three-hour tour, including expert educational commentary, operates annually from June to November, and you’re sure to see these majestic creatures approaching the boat in a show of breaching while splashing their massive tail flukes and spy-hopping (or raising their heads above water level for a breathtaking sneak peek). You’ll also experience sightings of Minke Whales, dolphins, turtles and countless varieties of seabird life. It certainly makes for a unique and memorable outing for the blossoming couple. For more down to earth fun that’s equally designed to create thrills and spills, the combination two-pass entry to Sydney, Gold Coast and other major theme parks throughout Australia, promises rides, attractions and other fun-filled events and activities that only destinations such as SeaWorld, Dreamworld, WhiteWater World can provide. A helicopter scenic flight for two (30 minutes) taking in the sights of Olympic Park and awe-inspiring Sydney Harbour is bound to excite and delight the loving couple from up high. What’s more, if your unique gift takes them by complete surprise, a third person flies free in this package offered by Adrenaline. So that special extra person could quite easily be you! The Jet Boat Circular Quay (30-minute) ride is another exhilarating experience that heart-pumping couples are sure to adore like never before. 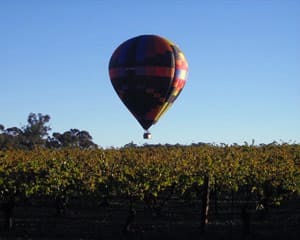 Ignite their romantic senses with a love-fuelled hot-air balloon adventure over the idyllic Barossa Valley, Mornington Peninsula or Yarra Valley, to name but a few stunning locations on offer. After floating with the wind and flying like a bird at sunrise, loved-up couples will also experience a glass of premium Champagne and sumptuous restaurant breakfast upon their feather-soft landing. A commemorative flight certificate and photo viewing completes this unique engagement gift idea, to comprise the perfect morning filled with heartfelt memories. What are the best anniversary gift ideas for couples? Wedding anniversaries, Valentine’s Day and other special dates are designed for lovers of all ages and tastes. Adrenaline has years of gifting experience in providing the perfect style and quality of presents that will linger in the memory banks for years to come. Valentine’s Day is not far away and Adrenaline has curated a range of experiences for him and her or to come together as the perfect couple and share in the thrills and spills of this special date that has been custom-created for true love. 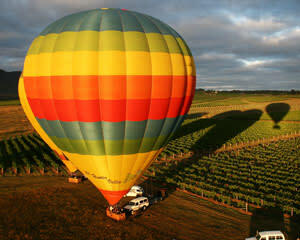 Hot-air ballooning and scenic flights are made to inspire romance and breathtaking excitement. Adrenaline presents an impressive range of these experiences that include premium food and wine inclusions, photo opportunities to frame and cherish, and Adrenaline simply knows how to add those special touches to a romantic day to remember. There’s also a range of tempting gourmet hamper packs and memorable wine-tasting tours for bon-vivants with a taste for the crème de la creme. Seaplane and learn-to-fly experiences will lift your love up where it belongs. 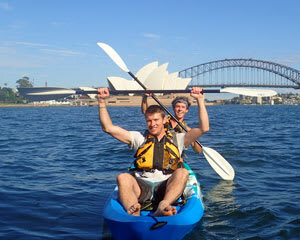 Blissful sailing experiences on Sydney Harbour, Melbourne, Brisbane, and most other locations, and breathtaking Sydney and Brisbane bridge climbs are designed to add the sparkle to your true romance. For the more adventurous types, there’s also abseiling, jet-fighter flights, jet-ski hire for two, stand-up paddle-boarding classes, off-road racing, Segway tours, for smooth moves that are always on a roll, and if it’s the thrills and chills factor you’re seeking for even more up close and personal time, try a spooky Ghost Tour together. This spooky, fun-filled event at select sites throughout Australia is bound to leave loving couples clinging to each other for dear life! Wedding gift ideas and presents for all couples that are embellished with love should be as unforgettable as the special occasion that they are designed to celebrate. With this in mind and heart, Adrenaline has collated a memorable list of exhilarating and rejuvenating experiences for the loving couple. 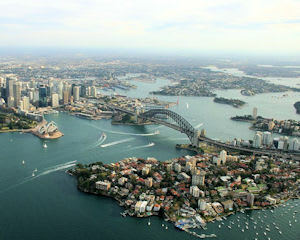 In the latter category, these include a one-hour massage therapy package at Pure Bliss in Melbourne. It’s exactly as the company name describes: you and your partner will relax in the privacy, comfort and tranquillity of your very own treatment. Customised to please and relieve the individual or couple’s therapeutic needs, your treatment provides a head-to-toe massage that’s tailor-made to melt tension away and designed to nourish, energise, illuminate and transform every inch of your being. Adrenaline also offers similarly stress-relieving and rejuvenating massage therapy and day spa packages at premium locations throughout Australia. Now that you’ve been pampered like royalty, if it’s more thrills and spills, blended with a five-star wining-and-dining experience that you crave, why not partake of the Sydney to South Coast Luxury Supercar Drive Day outing? This unforgettable wedding gift idea for couples includes a non-driving passenger, so you can accompany your high-speed beloved as recline in style, along with the professional instructor who will guide and control the driver at breathtaking speeds, inside one of five of the finest Supercars on the planet. Take your pick from the impressive fleet of a Ferrari California, Lamborghini Gallardo, Maserati GranTurismo, Porsche Convertible, Alfa Romeo and other equally exotic sports cars, for a full-day experience departing from Rhodes in Sydney. Once you purr out of the showroom, you and your loved one will zip along the scenic coastal route to Wollongong with the wind in your hair, taking in Stanwell Tops and the spectacular Sea Cliff Bridge along the way. You’ll also be treated to a beautiful bottle of wine and delicious seafood lunch for two to round out the experience of delectable anticipation with heartfelt, taste-tempting appreciation. For a supercar driving experience in Brisbane that your beloved will lap up, the Drive a Ferrari (30 minutes) plus photo is the perfect engagement gift for your potential pro driver. This memorable experience encompasses an unforgettable drive through the streets of Brisbane behind the wheel of a stunning Ferrari F430 F1 Spider. A expertly qualified instructor will show you the full capabilities of this premium race-driving machine and the participant will also receive a complimentary photo to download after the event to prove to his or her beloved and all their family and friends that they truly did take to the road in 500Hp, V8-powered pro style!